Question #12: Describe what has been labeled, ‘the gap theory” with regard to Genesis 1:1-2. Is it biblically defensible? Why or why not? 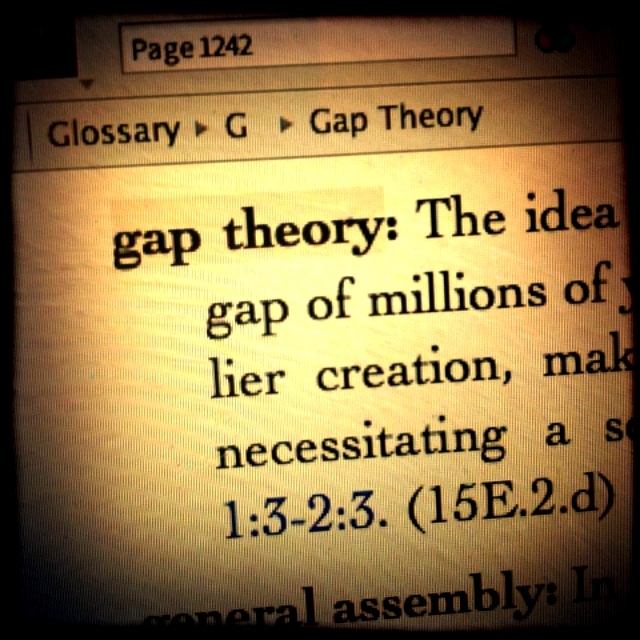 Gap theory is Biblically indefensible. This is not biblically defensible because of the fact that death came by sin, “and so death passed upon all men” (Rom 5:12). Sin did not come until Adam fell. So that death did not come until after that. It would be a grave mistake to put death between Gen 1:1 and 2! How many deaths in a million years? Let alone millions of years! This is the great fallacy of anachronism.